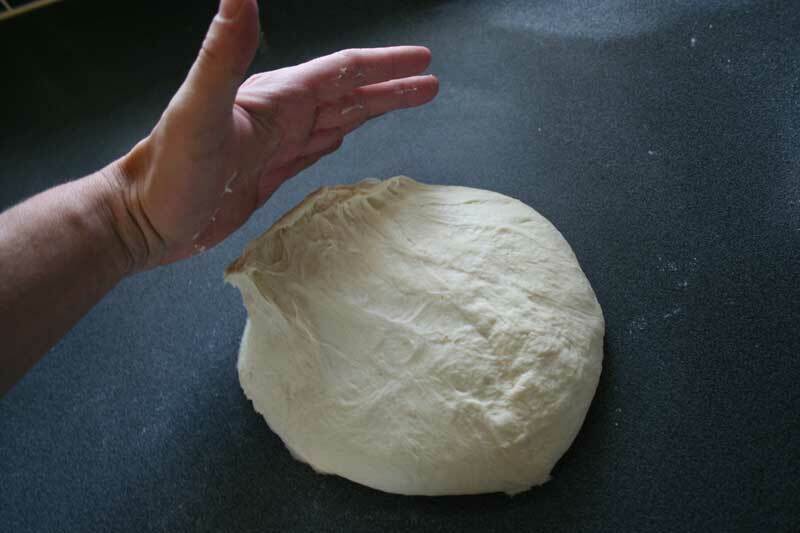 STICKY: Pressing your hand in the dough, it sticks and stretches. When it does release, your hand is still covered in a fair bit of dough. This would be acceptable for soft doughs like Ciabatta. 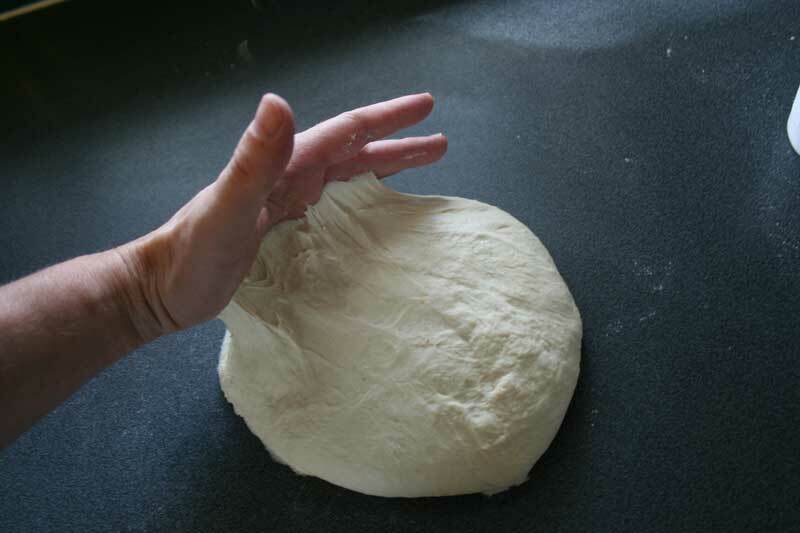 TACKY: Although pressing your hand on the dough is still causing it to stick, it easily releases without leaving much if any dough on your hand. Be careful not to go too far, a little sticky is good, you do not usually want it to be completely non-sticky. That would mean your dough is too dry. Try to avoid the idea that you need to keep your hands “clean” of dough, this is bread making and it should generally be expected to be a little gummy. That’s OK. If you’re aiming for a clean dough, you’ll have a tight, dense bread. This is fine if you’re making bagels which you want to be a little dense but, generally, not the aim for most breads, some even want to be very soft and sticky to produce the right crumb. So don’t try for “neatness”. There will be and should be a little mess. If this goes against your personal values… you’ll need to fight that urge. You may find that kneading on the counter, you constantly keep adding a little more flour to keep the dough from sticking to the surface but again, this can cause problems. I generally knead on the bare counter and, yes, it is sometimes sticky for the first few minutes. Using a scraper, I can collect the stuck dough and get it back into production and as I work, the gluten develops and the dough becomes less sticky without needing to add extra flour. When in doubt, aim for wetter than dryer. Thank you Paul. I’ve been wondering what the difference between sticky and tacky are supposed to be, and this is very helpful. 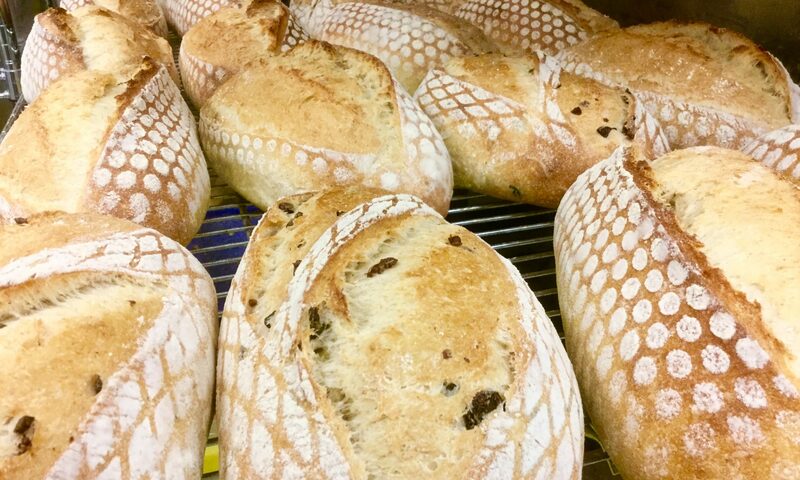 You bake beautiful bread! Hi… thank you for the explanation between sticky and tacky and teaching me that sticky is actually better than tacky,unless you want a harder loaf or something. I am just getting into dough, bread and pizza making. I just love baking my own stuff, even if I’m still stumbling. So… thanks… I got the part about the gluten, too. I just made some dough for a pizza and I made sure it was comletely tacky…due to sheer ignorance. I barely needed to even wash my hands. As I am learning, I decided to read something about dough making and came across the expressions tacky and sticky…as a non native speaker of English I only knew the meaning of tacky as being something we wore in the eighties. Them googling for “tacky dough” on google images, I found your blog, which i have obviously bookmarked. Would that apply to pizza as well? Actually, most people who get into bread will, at first, tend to want their dough rather dry, a step above “tacky”. They keep adding a little more flour and a little more and a little more as they aim for dough that is smooth and has no tack at all. And at this point it’s likely too dry for most situations, even though it’s great for keeping your hands clean – there seems to be a fear of “getting dough stuck on your hands”. So it’s probably more important to get people comfortable with the idea that wetter dough IS a good thing. In this post I wasn’t saying that “sticky is better than tacky”, rather I was showing the visual difference between the two. For most doughs, you’ll be aiming for “tacky”. There’s a place for sticky, tacky and even dry dough (i.e. bagels). Each bread type you make will have it’s own requirement; one size doesn’t really fit all here. I haven’t made enough pizzas to even pretend I can offer suggestions in what is “best” for that sort of dough. There are, however a lot of websites dedicated to wood fired ovens and as these are to a very large extent aimed at people making their own pizzas, I expect you’ll find lots of discussion there on what makes the best pizza dough. These are the experts who make pizzas regularly and can experiment constantly to see what does or doesn’t work. You’ll find many use specialty “Tipo 00 Pizza Flour” which is an Italian flour type, although I understand this is not going to work well for conventional ovens. This is when you KNOW these folks are serious about their pizza dough! Here’s the forum section for making pizza at the FornoBravo website: http://www.fornobravo.com/forum/f10/ to get you started. Hope this helps! And happy pizza baking! Thanks for explaining the difference between sticky and tacky. and am wondering what your thoughts are on them? Thanks! I don’t have much personal experience with home pizza ovens myself so I don’t really have any direction to suggest. I’ve certainly looked them over on the web and know there are many brands. I would suggest a visit to a forum called PizzaMaking.com where all matters pizza-ish are discussed, including ovens of different sorts. You’ll find lots of helpful people there who could direct you based on actual hands-on experience. This may help me a lot. I’m brand new to bread making (baking in general), and I’m about to make my third attempt at kaiser rolls. My first attempt I failed with the yeast. My second attempt the baked product was way too dense. It was very tasteless despite being edible. I’ve read that I may not have kneaded the dough enough producing the high density. Any pointers here? I understand that kaiser rolls are not the best choice for an absolute novice. I am at the point of no return however and will not stop until they’re great.